Comments: - I am waiting for my young grafted trees to fruit. I hope they will this year. Comments: - Much sweeter and bigger fruit than the red cherry guava and the seeds aren't as hard. Seems to fruit most of the year even down here in Vic. 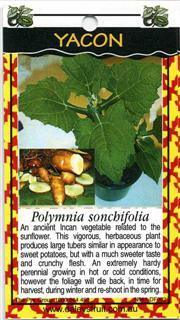 I like growing yacon because it is easy to grow and loves a lightly shaded spot where not much else will grow well. It produces well even in large pots and you can eat them raw or cooked. Make sure you air the tubers for a couple of weeks after digging to highten the sweetness. I like them raw in salads and fried. They are also good in stews where they keep their crispness for a nice bit of texture. The tubers (after peeling) are sweet and crunchy. I wish the tubers were bigger but they are nice to eat and look fantastic in a stir-fry. The little knobbly tubers are dug in winter after the frosts kill off the tops. No need to peel, thank goodness. They are crunchy and slightly sweet. a bit potato-like. They do well in full sun or part shade, even under shadecloth. not really bothered by pests. 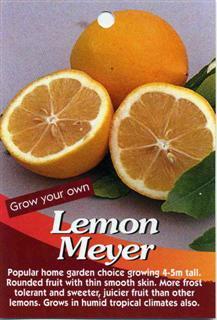 Although this was bought as a dwarf meyer (not from Daleys), I think it is too sour to be a Meyer. It is on its own roots and is only 1m tall but bears heavily. It is a great fruit tree. I love chocolate mint. When it is warmed by the sun a squeezed leaf smells just like after dinner mints. It is easy to grow as long as you keep the water up to it - like all mints. I LOVE alpine strawberries and grow white and also red fruited kinds. They are easy to grow and love light shade. 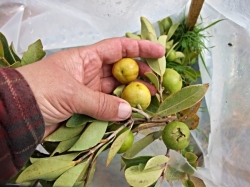 The fruits are very small but have a strong, lucious strawberry taste. The plants are clumping and most alpine varieties don't produce runners. They easily reseed themselves so you don't have to worry there. They do well in pots or in the ground. I have mine planted in a shadehouse where they look great among the ferns. Keep an eye out for slugs and snails. Birds often don't bother with the white ones. I really like NZ yams because they grow in part shade where few other plants do well. The tubers are pretty good to eat but remember to air them for a couple of weeks before cooking to get rid of the bitterness. It has a pretty mild taste, a bit like potato but it is something different to grow. 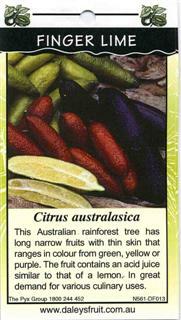 I wish we could get some of the other coloured varieties in Australia as well as the common red type. Has anyone heard of anyone in Australia with the white, blue or yellow varieties? I love the way the bush is neat and small, it can be trimmed into a hedge. The small berry has a rich sweet flavour and can be made into jam if it makes it to the kitchen.